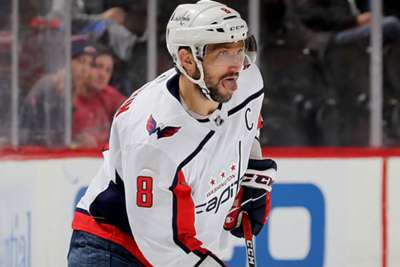 Washington Capitals star Alex Ovechkin added to his illustrious resume on Saturday. The winger scored his 50th goal of the season in the team's 6-3 win over the Tampa Bay Lightning. It was the eighth time in Ovechkin's career that he has had 50-or-more goals in a single season, and he is only the third player in NHL history to accomplish the feat eight or more times. He joins a list of hockey greats in Mike Bossy and Wayne Gretzky, who each had nine. Ovechkin, 33, became the third oldest player in league history to record a 50-goal season. At the top of that list sits Jaromir Jagr (34), who scored 50 in the 2005-06 season and Johnny Bucyk (35), who has held the record for the oldest player since the 1970-71 season. Ovechkin scored his 247th career power-play goal in the process and eclipsed Phil Esposito for sole possession of fifth and tied Luc Robitaille (247) for fourth on the NHL's all-time list. The Capitals already clinched a spot in the playoffs on March 28. They have just three regular-season games left on their schedule.